Set in 1000 acres and renowned for its scenic lake, woodland and picturesque follies, Hall Barn Estate played host to over 100 enthusiastic fundraisers who gathered to raise money for the Alzheimer’s Society. Organised by at-home care provider Home Instead Senior Care in Beaconsfield, this Alzheimer’s Memory Walk afforded local people the rare opportunity to enjoy the grounds of this normally private estate, whilst raising over £1,500 for a worthy cause. 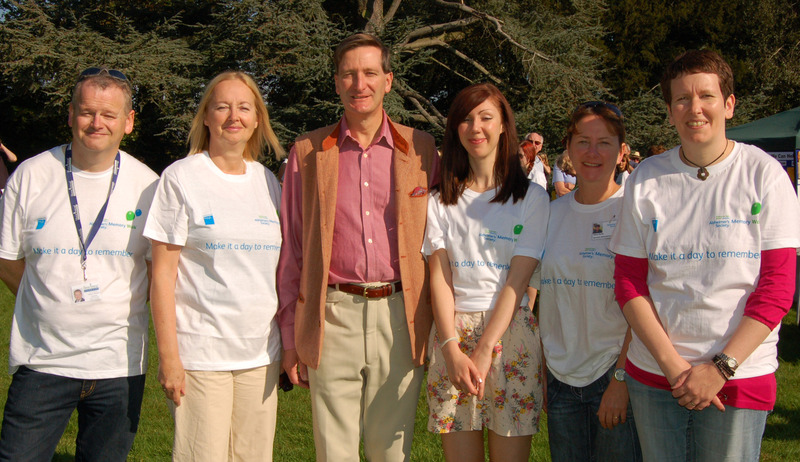 Attended by local MP and Attorney General Dominic Grieve, the event offered a range of family-friendly activities including a pre-walk warm up from a local aerobics instructor. Attendees travelled from far and wide to take part in the Memory Walk and elderly members of the local community were joined by families, friends and even a few dogs on their 3 mile walk through the estate. The money raised from the Memory Walk will help fund the charity’s research and national initiatives, as well as the vital services it offers in the South Buckinghamshire area for people with dementia and their carers. Services include day support and befriending which can radically improve the lives of people with dementia. With 6196 people currently suffering with dementia in Buckinghamshire, Home Instead owner Michael Lawson and his team have been working hard to raise awareness of this cause for some time. Michael comments:”The latest survey carried out by the Alzheimer’s Society shows that the number of people with dementia in Buckinghamshire is set to increase by up by 44 per cent in the next 10 years.